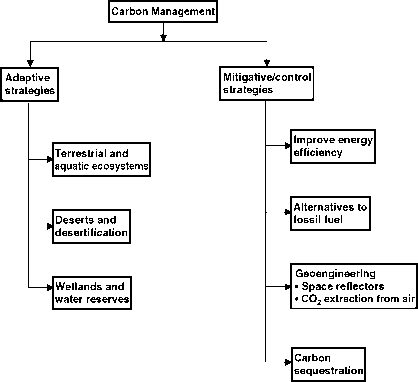 Figure 5.1 Adaptive and mitigative strategies of carbon management and sequestration to address global climate change. of terrestrial and aquatic ecosystems, desert lands, and wetlands. Adopting RMPs such as fertilizer use and irrigation on croplands and grazing lands is an important C management option. 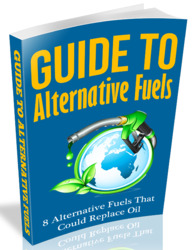 Mitigative options include enhancement of energy-use efficiency, finding alternatives to fossil fuel, and using geoengineering techniques, such as space reflectors and CO2 extraction from the atmosphere in order to influence the energy budget and the rate of enrichment of atmospheric concentration of CO2. Carbon sequestration is a key mitiga-tive strategy. 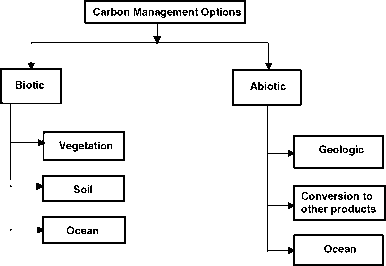 Figure 5.2 Categories of technological options for carbon sequestration through biotic and abiotic processes. biotic processes such as photosynthesis. The biotic sequestration of CO2 is relevant to the transfer of CO2 into vegetation, soils, and the oceans. In contrast, the abiotic strategy involves a technical transfer of CO2 from the atmosphere into geologic, oceanic, and other long-lived pools, and the conversion of CO2 into other products such as CaCO3. a Pg, 1015 grams, or 1 gigaton. Source: From Amthor, J.S., M.A. Huston, et al., 1998. Terrestrial ecosystems responses to global change: a research strategy. ORNL/TM-1998/27. Oak Ridge National Laboratory, Oak Ridge, TN; and U.S. Department of Energy. 1999. Carbon Sequestration: Research and Development. National Technical Information Service, Springfield, VA.
Total a Pg, 1015 grams, or 1 gigaton. Source: From U.S. Department of Energy. 1999. Carbon Sequestration: Research and Development. National Technical Information Service, Springfield, VA.
ecosystems can be achieved by enhancing the C pool in living plant matter, roots, and soil. Soil C storage involves both organic and inorganic C pools. Formation of secondary carbonates is one of the mechanisms of soil C sequestration. There are numerous estimates of the potential for terrestrial C sequestration. The estimate of 5.7 to 10.1 Pg C/year shown in Table 5.10 is quite large (U.S. Department of Energy, 1999). 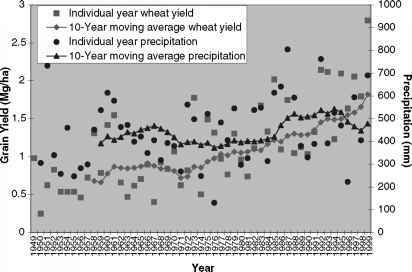 However, the attainable potential of terrestrial C sequestration may only represent 10% to 20% of this amount through the use of adaptive strategies. IPCC (2000) estimated the potential of terrestrial C sequestration in agricultural and forestry ecosystems at 2.5 Pg C/year over the next 40 years. As indicated in Table 5.11, such a level of sequestration will yield a net increase of only 0.5 to 0.7 Pg C/year in atmospheric concentration, assuming the same rate of increase as observed in the 1990s. a Tg= teragram, or 1012 grams, or 1 megaton. Note: Average adoption rate and average carbon sequestration rate are calculated as weighted mean averages. Source: Modified from Inter-Government Panel on Climate Change 2000. Land Use, Land Use Change and Forestry. Cambridge University Press, London, 181-281.
and subsequent productivity. Adaptive strategies involve: (1) the use of transgenic plants that are more resilient to environmental stresses such as drought and heat and with pest resistance in crops, trees, and livestock; (2) conservation-effective measures to improve soil quality and reduce the risks of soil degradation; and (3) improved energy-use efficiency and development of fossil-fuel offsets.